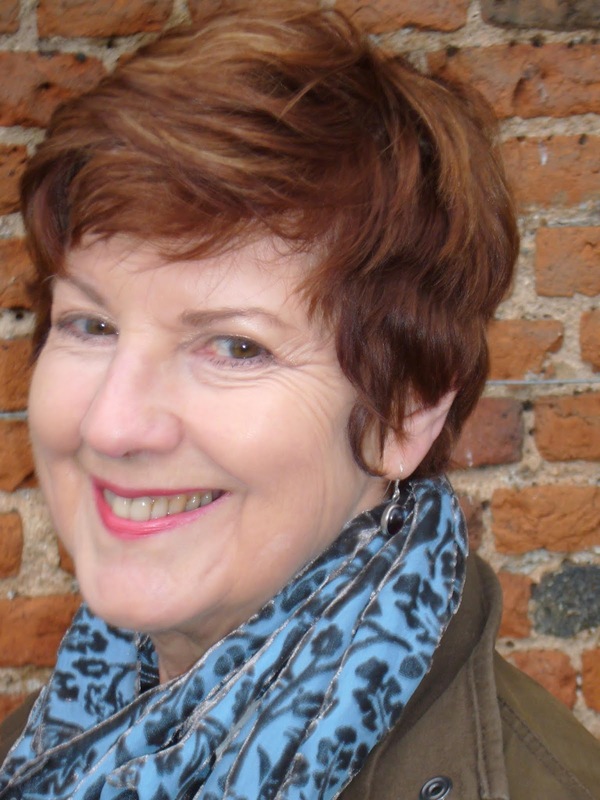 Celia Rees has written over twenty novels. 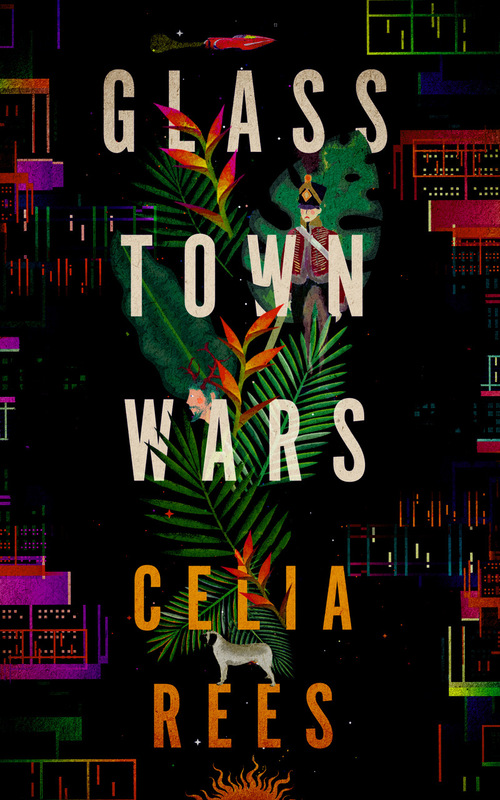 Her new book, Glass Town Wars, will be published in November 2018 by Pushkin Press. It is a fantasy moving from present day gaming to the extraordinary world of Angria created by the Brontës in their childhood and adolescence. Emily is a character. Today is Emily Brontë’s bi-centenary. This is in honour of her. It is not a review. I wouldn’t be so presumptuous, although that hasn’t stopped readers on Amazon where Emily Brontë only merits four and a half stars. I’m sure I won’t be the only writer heartened by that. Rather, this is a personal reading. What Wuthering Heights has meant to me at different points in my reading life. I first read Wuthering Heights as an adolescent; a suitable literary text for grammar school girls. I have to confess, I didn’t quite know what to make of it. I had never read anything like it. It wasn’t until I was an adult that I realised that was the whole point and the mark of Emily Brontë’s extraordinary achievement. Neither had any one else. I was reacting in precisely the same way as the unsuspecting reading public when Wuthering Heights burst upon them in 1847. No-one had written anything like it, or has done since. I didn’t appreciate just how brilliant the novel was until I taught it for A Level and went beyond the surface appeal of the romance that had both attracted and frustrated me as an adolescent reader. I realised that there was far more to the book than that. Romance doesn’t even begin to describe the passion between Cathy and Heathcliff and there is nothing romantic about the moors. They are real. Beautiful and atmospheric on one page, a death-trap to the unwary on the next. Further aspects of the book came into focus: other characters, how they function within the novel, the intricate interplay of their relationships and the possibility of different readings: the novel as a historical and social commentary on a rapidly changing industrial society. Emily Brontë did not live in splendid isolation up on the moors. She lived in the middle of the Industrial Revolution. Howarth lies within sight of Halifax and had its own mills and working population. Mills and industry do not directly feature in the novel, that would not be Emily Brontë's way. She lived within sight of them everyday, as familiar to her as the Yorkshire dialect she uses so readily and naturally. The moors themselves are scarred by quarrying. Heathcliff is a foundling from the port of Liverpool; his dark, gypsy ‘lascar’ looks throw open a portal to Empire and the wider world. Heathcliff's treatment at the hands of Hindley, the Lintons, even Cathy herself, brings class prejudice into stark focus. The way Emily Brontë engenders sympathy for him, despite everything, would suggest a respect and knowledge of the plight and suffering, the acts of defiance of working men. She lived through factory strikes and riots; she would have heard stories of the hand weavers, the Luddites, the dark lantern men. She lays bare, not just class prejudice, but the position of women within this patriarchal society. 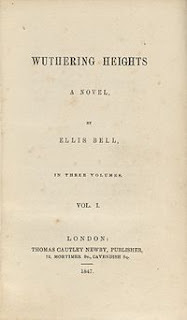 No-one was more aware than the Brontë sisters of the dependent position of women, both unmarried and married, and no-one explores this more graphically, more succinctly and effortlessly than Emily. Cathy’s marriage to Linton literally kills her. Isabella Linton is abused and humiliated. Young Cathy is cheated out of her inheritance and kept as a captive. The only light in a considerable amount of darkness is the redemptive power of reading and education. Later still, I came back to Wuthering Heights as a writer. I admired, above all, the book’s narrative structure. So clever, so innovative, so complex, intricate and exact. And so hard to do. 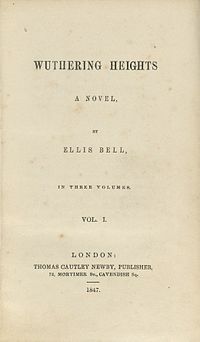 Everything, the whole novel, is contained within the first three chapters: Wuthering Heights itself, the people who live there, a list of names on a windowsill, notes scribbled into the margins of a religious text, a fragment of diary and then the sudden, shockingly violent, savagely gothic intrusion of Cathy's ghost at the window. All witnessed by a narrator who will spend the rest of the novel trying to unravel the mysteries presented to him. His role is shared by the second narrator, Nelly Dean. Both of them unreliable in different ways. He looks but doesn’t see; she sees but doesn’t want to look. These interlocking narratives are added to by other devices: found documents; letters; testimonies that may or not be truthful or accurate. It is only by seeing the whole that the reader may know the full story and even then mysteries remain. 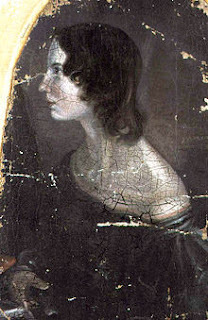 Emily Brontë refused to be fettered by the literary tropes of the time or by reader expectation. She accepted no limits to her creativity or her imagination. That doesn’t mean an undisciplined outpouring. The opposite, in fact, her working is intricate and exact and shows the discipline of long experience. Emily Brontë didn’t spring, fully formed, as the world’s most dazzling debut novelist. She’d been writing since she was nine years old. Emily’s own juvenile writing is lost. We have no record of her contribution to the Angria saga and all that remains of her own world of Gondal are a few poems. She abandoned made up worlds for the one in which she lived. The world she creates in Wuthering Heights is intensely real; its reality underlined by the precision and detail of her descriptions and her essentially unimaginative and mundane narrators but in her use of the gothic, the supernatural, in the liminal, the ‘otherness’ of Heathcliff, in the numinous quality of the writing, we glimpse Gondal gleaming through. ‘Genius’ is a word much over used, as is ‘unique’ but both apply to you. 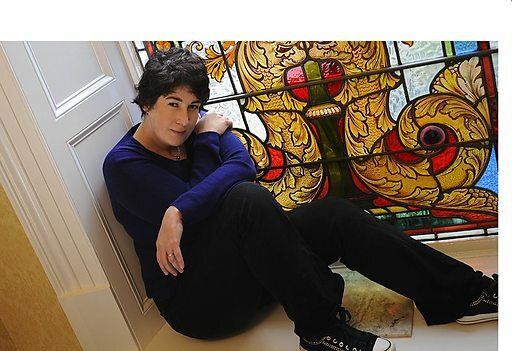 Since then, she has written 15 more novels, two collections of short stories, a Dr Who novella, guest episodes for the game Zombies, Run and three cookbooks. Her books are now published in over 50 countries and have won a number of British and international awards. She is an honorary Fellow of St Catharine’s College, Cambridge, has honorary doctorates in literature from the universities of Sheffield and Huddersfield, and has been a judge for the Whitbread (now Costa) Prize, the Orange Prize, the Desmond Elliott Prize and the Royal Society Winton Prize for Science. She works from a shed in her garden, plays bass in the band she first joined when she was 16, is currently writing a screenplay and lives with her husband and daughter in a little wood in Yorkshire. The first volume of Becky Chambers’ Wayfarers trilogy, The Long Way to a Small, Angry Planet was by far the best sci-fi novel I'd read in a long, long time. Genuinely different to the mainstream of the genre, inclusive and compassionate, it seemed to me to be doing what speculative fiction has been trying (and mostly failing) to achieve for most of the ‘90s. Two volumes later, I am convinced that Becky Chambers is near the forefront of a long-overdue revolution in a genre that has been seen for too long as very male, very white and with a general tendency to value space battles over psychology. Not that there’s anything wrong with space battles. But, with some noble exceptions, sci-fi has traditionally been seen by many as an action genre, plot-heavy and character-light, with aliens often presented as thinly-disguised racial stereotypes, and women as love interests, rather than fully-formed protagonists. 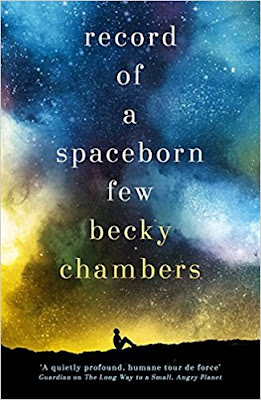 Becky Chambers’ first novel forms part of a fresh, new wave of sci-fi. Initially self-published when mainstream publishers failed to see its potential, or to understand the deep demand among readers for increased diversity, it is lighter on plot than most sci-fi, but far richer in character development. It concentrates on powerful themes of belonging and identity, and treats the concept of alien-ness - in terms of race, gender, sexuality and culture - as something genuinely different, rather than just presenting them as humans in clever makeup. The dialogue is terrific - Joss Whedon with more empathy - and the narrative style is spare and elegant and wholly, gloriously immersive. Record of a Spaceborn Few carries on from The Long Way to a Small, Angry Planet and A Close and Common Orbit only in that it serves to further our knowledge of the universe in which the books are set. Only one character from the first book is mentioned – and that only in passing – which means that the books can be read alone or as part of a wider exploration. I would suggest reading them all – not only because they are excellent, but because they provide an expanding overview of the author’s universe; a universe at least as important as any of the characters. Unlike most futuristic scenarios, this is a universe in which Humans are neither the dominant nor the superior species. The order that has been established within interstellar society has come from an alien culture, as has much of the technology. Humans are a minority group – white humans even more so – challenging the assumptions of so much of our traditional science fiction. Only on the Exodus Fleet are Humans still in the majority, but the Exodus Fleet is a relic, dating from many centuries ago, still bearing the descendants of the last generation of Humans to leave Earth. This fiercely isolationist group still retains its original cultural identity, though the ancient ships are in disrepair, and supplies are always a problem. Young people wanting to explore the outside world with its many colonized planets are faced with the same kind of culture shock faced by members of certain religious groups who choose to leave their traditional environment. Some leave for good; some return, unable to face life outside the bubble. When a disaster rocks this already fragile community, those Exodans who still call the Fleet their home are faced with an existential crisis – how to face up to the knowledge that their final destination – the stars – was reached a hundred years ago, and that they are an irrelevance in a universe that has moved on? Within this framework, the author manages to weave themes of inclusivity and diversity into her sci-fi, along with representations of mental illness, body dysmorphia, xenophobia, depression, gender fluidity and so on - all with the most delicate touch, and in a way that feeds directly into the plot, rather than appearing pasted-in for the sake of political correctness. This is the real deal emotionally: the characters are well-rounded, original and relatable, and the underlying ideas are compassionate and true. It's also a cracking story, well-paced and compelling, with more than enough plot to satisfy, but with a nice, grown-up element of personal and emotional growth, too. The story is seen through the eyes of a number of different characters – a young mother; a hopeful visitor struggling for acceptance; a young man desperate to leave – all these stories intertwined to make up a larger – and strangely familiar – narrative. A tale of a grieving community; a tale of misplaced ambitions; a tale of optimism and rejection; a culture willing to do almost anything rather than face the outside world. The parallels with current events are inescapable, and yet are delivered with a welcome lightness of touch. Imagine The Grapes of Wrath, set in space, with all the intensity, heartbreak and tension that implies. And grieve a little for the fact that the mainstream literary world is so slow in acknowledging the scope, skill and literary value of sci-fi - although frankly, anyone who scorns sci-fi as a lesser genre really doesn't deserve to read anything as splendid as this. Record of a Spaceborn Few is published by Hodder & Stoughton. 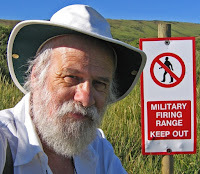 Between 1995 and 2015 I published a number of stories and forty-something books for children and teenagers. One of the books - Young Dracula - inspired five CBBC-TV series of that name; a series I didn’t like and which earned me little more than a fleeting ‘originator’ end credit and a handful of beans. While I enjoyed writing many of my books, others were such a tussle with editors and their various chippers-in that frustration and out-and-out rage became the order of many a day. When the new head of a certain publishing house informed me that my new ideas were ‘very funny with strong narrative voices but a little quirky and out-there at a time when we are looking for something a lot more obvious’ I knew it was time to move on. I’m still moving. Still writing too (it’s hard to give up), but not for children. If we’d been of a similar generation, Sylvia Beach is someone I would very much like to have known. She preceded me by quite some way, but the bookshop described in this memoir - the name of it at least - had some relevance for me early on. At the tenderish age of twenty-one I was a freelance photographer in London, taking pictures for the Financial Times, publishers, advertising agencies and so on. That meant a lot of snaps of politicians, pop stars, cereal packets, and women in various states of undress. But this was the so-called Swinging Sixties and I was bored with the parties and zipping round town in taxis just before dawn, so I handed the keys to my balconied flat in Pimlico - along with all my furnishings - to a BBC makeup girl of my acquaintance and hightailed it to Paris to try my hand at writing while starving. (I turned out to have a real gift for the second of these.) While renting an icy garret at the top of the Hotel Novelty at Odéon, I made frequent visits to the Shakespeare and Company bookshop on the Rue de la Bûcherie near Notre Dame. 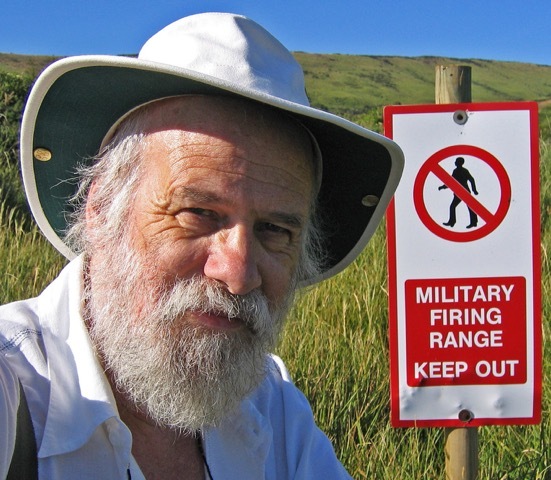 There I discovered treasures banned in England, such as Henry Miller’s Tropic of Cancer, The Black Book by Lawrence Durrell, and Maurice Girodias’s Traveller’s Companion series. I also met a French composer who wanted help with a letter to the Dean of St Paul’s to offer him a piece of music he’d written in honour of Winston Churchill, who’d just died. But this wasn’t Sylvia Beach’s Shakespeare and Company. 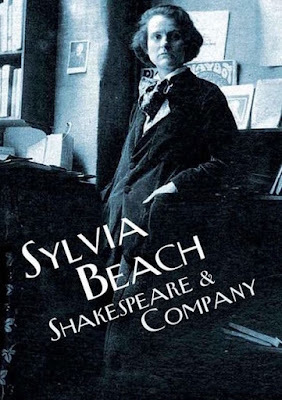 Sylvia, a New Jersey expatriate, opened the original Shakespeare and Company – a lending library as well as a bookshop – on the morning of November 19th, 1919. Specialising in books written in or translated into English, in no time her shop became an essential meeting place for visiting English-speaking authors, some of whom used it as their Paris mailing address. The shop more usually associated with Sylvia was in the Rue de l’Odéon, but her first Shakespeare and Company was situated just round the corner in the Rue Dupuytren. When I came across the address of that shop some twenty five years after my impoverished sojourn at the Hotel Novelty my jaw hit my chest. The Novelty was at 10 Rue Dupuytren. Sylvia’s first shop was at number eight – right next door. It was like finding the bones of old Will himself in your sock drawer. It was from 8 Rue Dupuytren that Gertrude Stein is said to have borrowed around seventy books in the two years before the shop moved to those larger premises. It was at number 8 that Sylvia, with no previous publishing experience, volunteered to produce the first edition of Ulysses in book form, in the process becoming James Joyce’s most vigorous champion. At that shop and its successor she entertained, in one way or another, many writers of contemporary or subsequent legend - Hemingway, Scott Fitzgerald, Ford Maddox Ford, Ezra Pound, D H Lawrence and many others. There ought to be a commemorative plaque on the wall of 8 Rue Dupuytren, but there isn’t. There’s no indication whatsoever that the original Shakespeare and Company was housed there. Sylvia ceased trading in 1941 after refusing to sell an officer of the occupying German forces her last copy of Finnegans Wake from her window display. Shortly afterwards she found herself in an internment camp, where she was held for six months. Almost exactly a decade after she shut up shop for the last time, an American bookseller called George Whitman adopted the name Shakespeare and Company for his own shop in the Rue de la Bûcherie, apparently with Sylvia’s blessing. The by-then celebrated banner gave George’s establishment a ready-made pedigree which to this day draws literary pilgrims by the planeload, many believing that they’re visiting the shop associated with all those famous writers of the past. Authentic or not, Mr Whitman’s shop, now run by his daughter – Sylvia Beach Whitman – filled both a gap and a need, not least for cold hard-up souls like me, eager for words they could understand and a spot of free warmth in which to pore over them. Some of the above is covered in more detail in my memoir Milking the Novelty, a copy of which, I’m happy to report, has found a place in the Rue de la Bûcherie Shakespeare and Company archive. Shakespeare and Company is published by Bison Books. "Holding it gives real physical pleasure. Since one of the main themes of the novel is the delight that comes from stories, it’s fitting that this should be so..."
Adèle Geras lives in Cambridge and reads a lot. She’s published six novels for adults, the latest of which is Love or Nearest Offer, published in paperback by Quercus. She has also published many books for children and young adults. 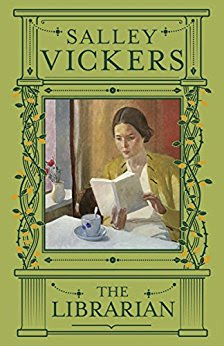 Perhaps the first thing to say about this book is that Salley Vickers has been very well served by her publishers. It’s a most beautiful object: bound in eau- de-nil cloth, and with pretty, flower-strewn endpapers. Holding it gives the reader real physical pleasure. Since one of the main themes of the novel is the delight that comes from stories, it’s fitting that this should be so. Sylvia is a young librarian who moves into a cottage in East Mole and takes up a post as Children’s Librarian. She rents a cottage from Mrs Bird, and from that moment her life is linked with that of the Bird family, and with those of her neighbours in the village. She’s involved with the children, in particular clever Sam and shy, awkward Lizzie. She meets and falls in love with the local doctor, who is married and who has a somewhat wayward daughter called Marigold. We learn a great deal about the workings of the library, and of how Sylvia draws the local children into reading her own childhood favourites. Not everyone has enlightened ideas, however, and when a copy of Henry Miller’s Tropic of Cancer goes missing from the Restricted Access shelves, a whole series of events unfolds, at the end of which things in East Mole have changed forever. I won’t say more about what happens, for fear of spoilers, but I would recommend this book to anyone who enjoys a tale of ordinary life, told plainly but evocatively. I’d also give it to anyone interested in children’s books, or anyone who believes that the books we read in childhood have the capacity to shape our lives forever. It’s dedicated to Jacqueline Wilson, (who’s been a very good friend of mine for something like 40 years) and Philip Pullman, whom I first met in the early 1990s, so I felt a personal pull to it even before I began reading. The personal connections continue. One of the friends I’ve made since moving to Cambridge in 2010 is Sally Christie, who is the daughter of Philippa Pearce, who wrote Tom’s Midnight Garden. This astonishing novel, first published in 1958, figures large in The Librarian and is one of Vickers’s own favourites. I am very happy when lines of life and literature converge in this satisfying way. The Librarian is published by Viking. Judith Lennox was born in Salisbury in 1953 and has written twenty-one novels, the most recent of which is Hidden Lives. 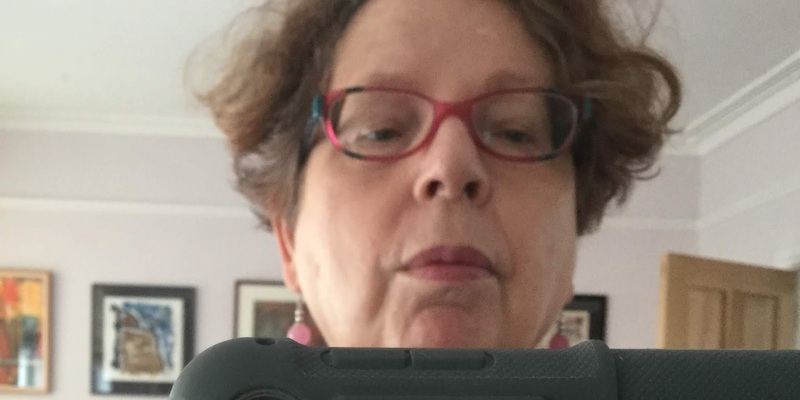 She lives in Cambridge with her husband Iain and has three sons and six grandchildren. The opening sentence of Miller’s novel is arresting: ‘When I was born, the name for what I was did not exist.’ Circe is a witch, a sorceress. She is the daughter of Helios, the sun god, and the naiad Perse, who catches his eye. We follow Circe’s story from her birth in Helios’s dark and silent halls, through her encounters with the familiar characters of myth – Scylla, Odysseus, the Minotaur – to her destiny. The novel is told from Circe’s point of view. It’s a difficult task to persuade a reader to care about an immortal being, but Miller achieves it by making the reader feel present in antiquity. She skimps on neither the glory nor the savagery. Her landscapes are beautiful and luxuriant, populated by the gods, with their chilly, implacable, gleaming majesty. Compared to them, humans are grey and slack and wear their mortality like a badge. Pity and mercy are alien to Athena, Artemis, Hermes, Helios and their kind, as is death. One of Circe’s formative experiences is when she witnesses the punishment of Prometheus for giving mortals fire. She alone secretly gives him comfort – a cup of nectar – after his terrible scourging by the Fury. In return he offers her a lesson she never forgets: Not every god need be the same. Circe’s story is one of self-realisation. As the novel goes on, she comes to know what she truly is: a witch, a creator of potions and enchantments, who has the power of transformation. Her skills aren’t handed to her on a plate, she has to learn them through hard, painstaking work, alone in exile on the island of Aiaia. Circe comes to realise that what Prometheus told her is true, that she is not the same as other gods. She cares about the fate of mortals: when Hermes, her lover, off-handedly informs her of the death of the princess Ariadne – ‘If you cry every time some mortal dies, you’ll drown in a month’ – she angrily rejects him. So often, the portrayal of gods, demi-gods and monsters in film and fiction is disappointing. We might admire their prowess or fear their cruelty, but we can’t connect with them. They seem one-dimensional, both less than they should be and at the same time untouchable, invulnerable. Miller’s mythical beings are vivid and full of character, summed up in neat phrases and pithy descriptions. Helios, for instance: ‘My father has never been able to imagine the world without himself in it.’ Or Scylla: ‘her round face lacquered with malice.’ The tedium of immortality is hinted at: ‘Gods love nothing more than novelty.’ And so we are able to understand a little the Titans and Olympians, because they share our human frailties. Most of all we connect with Circe. Her problems are our problems – the baby who cries all night and will not sleep, the son who leaves his mother for foreign lands, the predatory men who, finding her on her own without the protection of a husband, son or brother, use her as something less than human. Perhaps we’d like to have access to the powers with which she confronts these situations – perhaps we too would like to turn our aggressors into swine, or devise enchantments to guard our children. 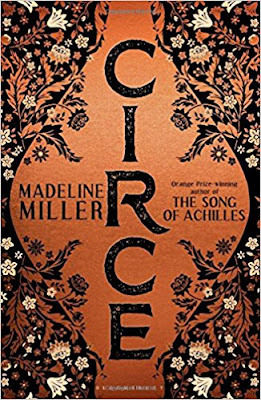 In Madeline Miller’s hands, Circe is no evil witch, but an intelligent woman who finds autonomy and love in a hostile world. Circe is faithful to the roots of the story, while managing to feel contemporary at the same time. The chill of antiquity exists in a world that trembles on the brink of change and modernity. Her language is poetic, as sharp as a knife-blade when necessary, but touching, poignant and thoughtful too. ‘Humbling women seems to me a chief pastime of poets,’ muses Circe. ‘As if there can be no story unless we crawl and weep.’ In this novel, Madeline Miller triumphantly reclaims a story of female power, putting at its centre a character who has the capacity for love, endurance and empathy. Circe is published by Bloomsbury.